We updated our database and made some lovely pictures of our young girl JrCh. Parastone’S Sweet Like Chocolate (Coco). So far young Coco obtained the titles German- and VDH Junior Champion, Vice Europa-Jugendsiegerin’16, Früjahrs-Jugendsiegerin’16 and Saarland-Jugendsiegerin’16. She has a perfect health record (HD-A, ED-0, Ataxia-clear, Patella-clear, Cardiac-clear). Her parents are Multi Ch. 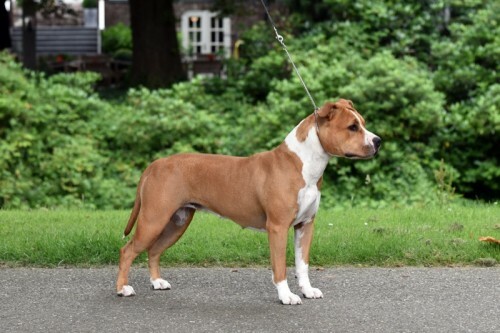 Karballido Staff’s Milwoky X Multi Ch. Parastone’S Designed With Love.